Imani Williams, 19, will not be home to spend Mother’s Day with family. “We need to stop this madness,” Tio Hardiman, of the Violence Interrupters, told NBC 5 Wednesday. The reason has Williams’ own mother, Lashawn Allen, asking for peace. “I am really just taking this day by day that’s all I can do,” she said. After Williams became a victim of Chicago’s ongoing gun violence. 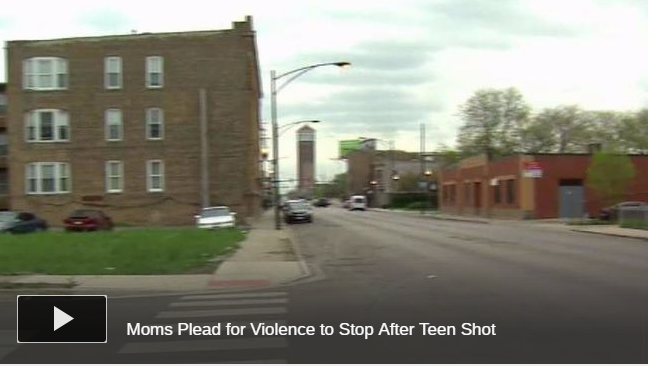 Williams nightmare happened May 1 when the College of DuPage freshman went with a friend to Homan and Gladys on Chicago’s West Side to drop off some food to another friend. Williams was standing near the trunk of her car talking to that other friend when she heard gunshots.